Stranger Things 3 – The trailer is out! 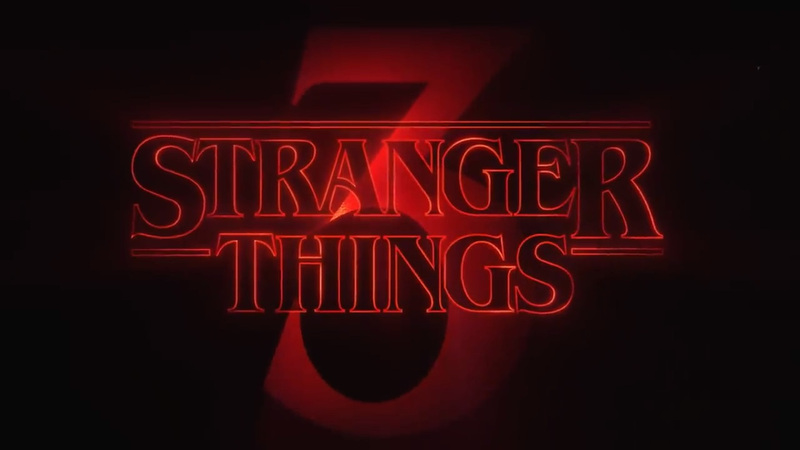 The Stranger Things 3 trailer was released by Netflix on March 20, 2019, and it is absolutely full of new clues about the third installment of the beloved Netflix original. From audio clips, to briefly flashed images, fans of the show are beginning to piece together exciting details about season three. Today, I’ll cover some of the details that give us an idea of season three’s plot. If you haven’t seen Stranger Things, you may want to now. Even with only 2 seasons (17 episodes total) since July 15, of 2016, when it first aired, Stranger Things is still incredibly popular. According to Nielsen – a rating service well known for its accuracy – 15.8 million people watched the first episode of Stranger Things 2 within the first three days. To give a very brief summary, the show follows the story of friends Mike, Dustin, Lucas, and Will as they encounter strange mysteries in their small hometown of Hawkins, Indiana. Along the way, they meet Eleven – a girl with supernatural abilities and the number 11 tattooed on her wrist. From the opening scene of the trailer, we can tell when the third season will take place. Dustin has returned from summer camp, as we can see he is wearing his camp uniform and is talking about how he is finally home. We can also assume that Nancy and Jonathan are attempting to spread the word about what is really happening in Hawkins. In season two, they were working with the reporter Murray Bauman to expose the Hawkins Laboratory. In the trailer, Nancy and Jonathan are shown in the waiting area of The Hawkins Post, presumably about to talk with a reporter. Finally, many fans have speculated that the main source of evil in this season may use, or be related to, mind control. The opening scene where Eleven is controlling Dustin’s toys could be hinting at this. Throughout the trailer, we also see many people with blank looks on their faces, and Steve Harrington seems to have an infection on his arm that closely resembles the typical texture of the upside down. Shortly after that, we see someone in a hospital transform into a new kind of monster while Jonathan watches in horror. Water and electricity may play a role in the controlling of the people of Hawkins, as both are common themes in the trailer. Whatever happens, Stranger Things 3 is sure to be a great addition to the series. 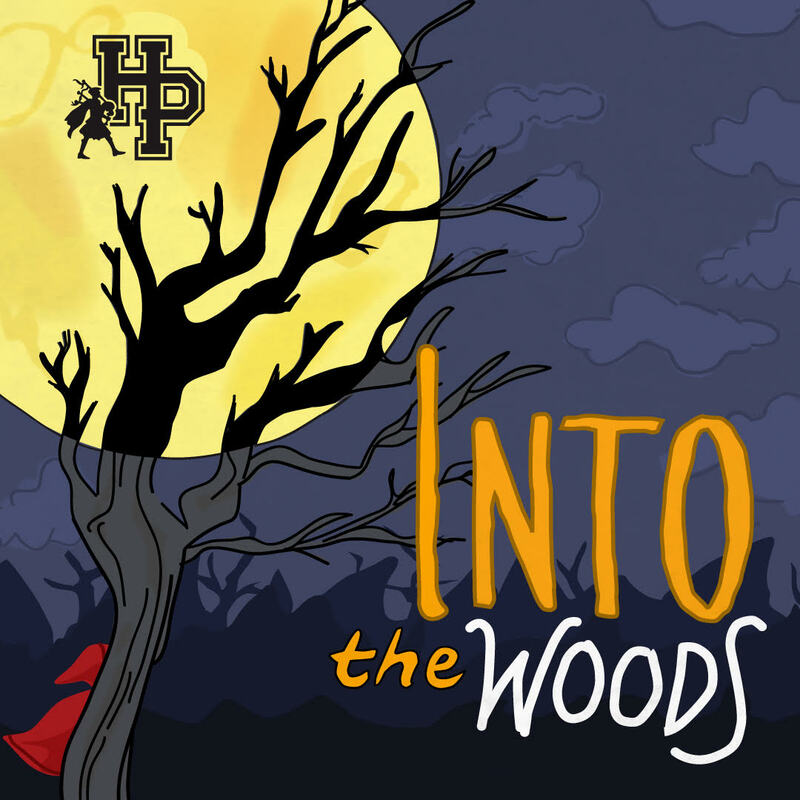 This year’s spring musical brings everyone’s most beloved fairy tale creatures into the woods as they pursue their wishes. The Baker and his wife (Logan Staeheli and Leah Terry) work to undo the curse put upon their house by the Witch (Sidra Michael). Meanwhile Cinderella (Clare Brownlee) wishes to go to the King’s Festival where she hopes to meet one of the handsome princes (Soren Eversoll, Thomas Madson, Lorenzo Reyes, Fernando Rivera and Joshua Taylor) while poor Jack (Soren Chirhart) to sell his cow (Adam Meyers). Lost children, misplaced princesses, a wolf, a mysterious man and a host of fairy tale creatures collide in this musical comedy. Performances are April 11th and 12th at 7:00 and April 13th at 2:00 and 7:00. What was happening with Captain Marvel? Captain Marvel was released on March 8th, but there was a whole mess of events regarding the movie before that. Captain Marvel has a female lead superhero which, despite it not being a big deal, caused a huge controversy. Brie Larson, who plays Captain Marvel in the film, brought up feminist issues. This caused a lot of anti-feminist people to go against the film because it is “feminist propaganda.” Captain Marvel did not get good reviews on Rotten Tomatoes before its release, and in turn Rotten Tomatoes disabled the feature to rate movies before its release. The bad reviews also caused a small Twitter drama. A lot of people would complain about how only white men would review the movie as bad, and this caused some female critics to wonder if that makes their criticism worthless as they also didn’t like the movie. Some people complained about the music. The movie would use pop music which would remind people about Guardians of the Galaxy, but the complaints came from the fact that the latter movie was more fitting for that type of music as it had a personal connection to the main character. Overall, it was a generic superhero movie. It was less of the movie itself that caused so much drama, but rather the events and interviews that took place before it’s release. It’s a shame that the movie had so much pre-release drama, but just like all other internet drama, it will all blow over soon. At least now we’re all just waiting for Endgame together. Frozen 2’s trailer has officially been released, and many people are hyped up and excited for the movie. The movie is planned to be released on November 22nd, of this year. There were many aspects within the trailer that captured people’s attention. One of the aspects was the beginning scene, with the waves. Everyone is shocked about how the waves looked so real, even the whole setting of the shore looks real. Another aspect is that none of the characters speak. The whole trailer was just full of action and movement. Along with that, there seems to be two new faces in the trailer that brings even more excitement. 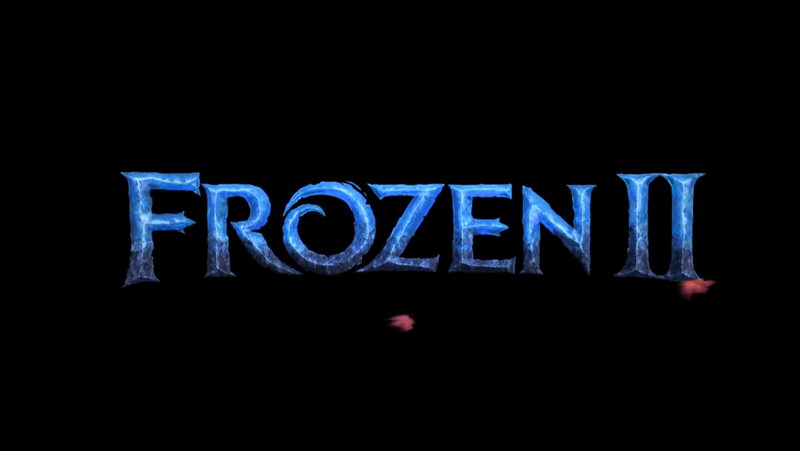 People have also noticed that during the end of the trailer, where the title, Frozen 2, shows up, it is not exactly fully frozen. There are leaves flying through and the bottom part of the title which seems to be melted. Many people have come up with theories on what might be happening, but no one really knows yet. Since the trailer to Frozen 2 has caused an uproar of excitement, I decided to ask some of my friends, who had, and hadn’t watched, Frozen 1, their opinions of trailer. Robbie Garcia: They didn’t even talk in the trailer, I don’t think Frozen 2 has anything to do with Frozen 1 because they didn’t even say anything; it’s just all action. I’m really looking forward to the sisterhood bond and the powers. 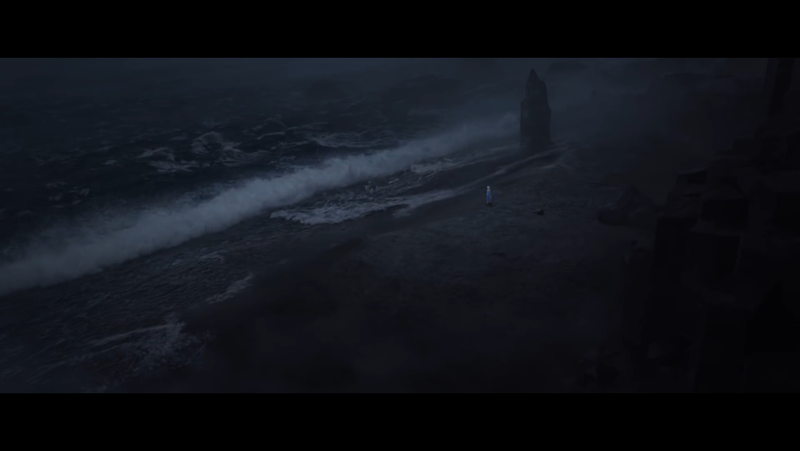 What captured my attention in the trailer was the beginning scene with the waves. The way they animated it was just amazing, it looked so real. Tovi Yangh: It’s different from the first trailer; it’s a bit more serious and suspenseful with the second trailer. I feel like the suspense makes Frozen 2 even more exciting than when Frozen 1 was announced. Along with that, we can see that Elsa, Anna, and Kristoff are going on an adventure that might or might not be in Arendale. Xeng Thao: I went to watch Frozen 1 in theatres so I’m planning to watch Frozen 2 in theatres too. When I watched the trailer to Frozen 2, I felt like I had to do more research on theories of Frozen because it’s very different. I would’ve preferred if the characters actually talked in the trailer or showed a snippet of any songs they’re planning for. Chai Her: I should probably try to watch Frozen 1 before Frozen 2. 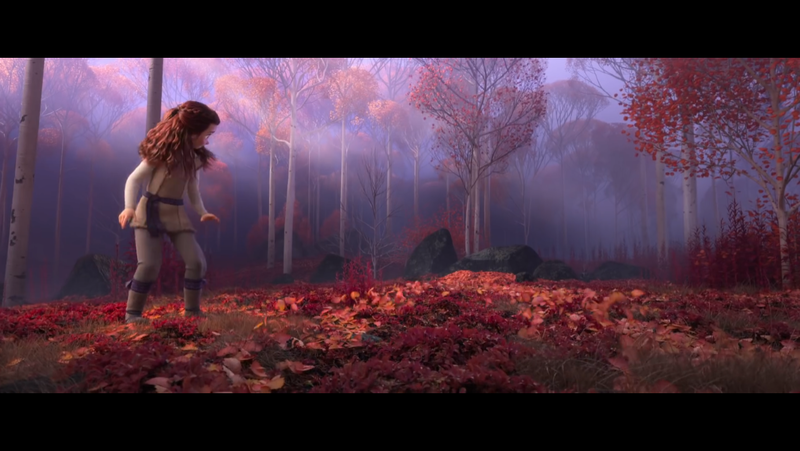 After watching the trailer to Frozen 2, I had no idea what was happening, and have no idea what to expect. The trailer fascinated me. I’m hoping that when I do decide to watch Frozen 1, it’ll be as good as everyone says. Mahmoud Ahmed: I’ve only heard a few of the songs, but watching the movie never came into my mind. The trailer for Frozen 2 did make me want to watch Frozen 1 so I could tell what to expect. I think that the trailer was really well done, especially with the water in the beginning. Thomas Nguyen: The trailer made the whole movie stand out even if it’s not out yet. I hope I’ll like the Olaf character as much as other people do. I want to be able to feel the same excitement others are feeling for Frozen 2. This year’s Oscars was held at the Dolby Theatre in Hollywood, California. The Oscars have been going on since 1929. What happened this year? Keep reading to get all the tea! This year’s Oscars had no host. They originally were going to have Kevin Hart host this year’s Oscars, but after old homophobic jokes he made resurfaced, he stepped down claiming that he didn’t want any drama during the Oscars, according to Vox. This was the first time since 1989 that the Oscars haven’t had a host. The awards ceremony opened with Adam Lambert and Queen playing some of their hits. Here are the winners of big awards from the Oscars. This year’s winner of the Best Actress Award was Olivia Colman. She won for her role as Queen Anne in The Favourite. The winner of Best Supporting Actor was Mahershala Ali in Green Book for his role as Don Shirley. Regina King won Best Supporting Actress in If Beale Street Could Talk as Sharon Rivers. This year’s Best Picture award went to Green Book. Best Animated Feature went to Spider-Man: Into the Spider-Verse. Best Director went to Alfonso Cuarón for Roma. He also won Foreign Language Film for Roma, and Best Cinematography for Roma. Best Original Music Score went to Black Panther with Ludwig Göransson. Black Panther also won Best Costume Design with Ruth E. Carter, and Best Production Design with Jay R. Hart and Hannah Beachler. Best Original song went to “Shallow” written by Lady Gaga, Mark Ronson, Anthony Rossomando and Andrew Wyatt. Best Adapted Screenplay (which is a screenplay based on a book) went to Kevin Willmott, Spike Lee, Charlie Wachtel, and David Rabinowitz for BlacKKlansman. 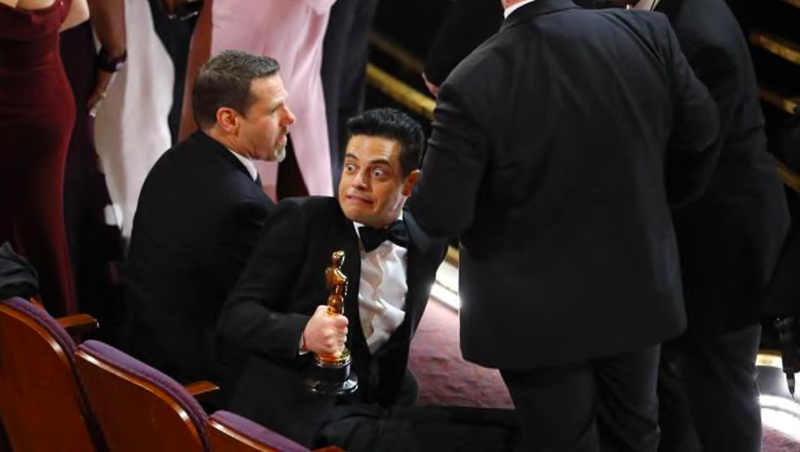 Speaking of winners, the winner of the Best Actor Award, Rami Malek, accidentally ended the awards ceremony with a bang. Or rather, a thud. 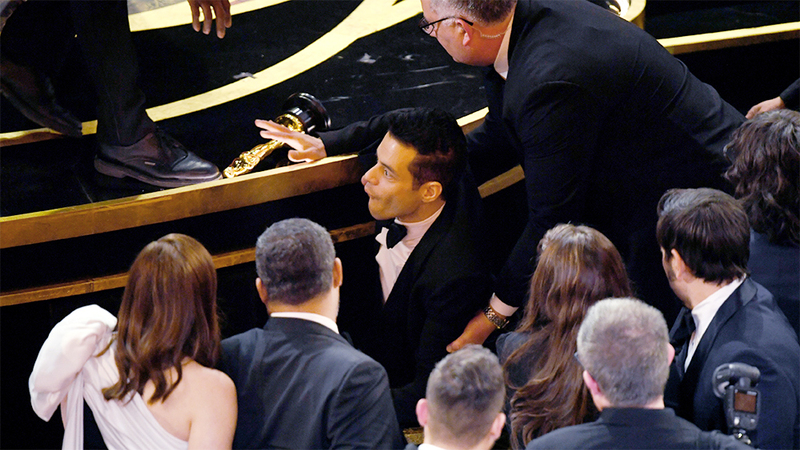 According to People, Malek fell off of the stage shortly after finishing his acceptance speech. By that time, the televised production had finished, so the incident did not appear on TV. However, there are pictures circulating the internet. They show a startled Malek on the ground, having just stumbled into the crowd. Lady Gaga and Bradley Cooper also gave an impressive performance of the song “Shallow” from the movie A Star Is Born. “Shallow” won the Oscar for Best Original Song. Before Gaga and Cooper even got on stage, the crowd applauded them. Many news sources are calling the performance iconic and amazing, and they’re not wrong. It was packed with emotion and the song is beautifully written. Overall, we are sure this year’s Oscars are going to be remembered for quite some time. 2018 had some really good movies, but most of them weren’t worth the ten dollars it costs to go see them in the theaters. 2019 is sounding like it will be much more promising when it comes to movies worth seeing though. 2019 will bring movies of all genres: animated movies, comedies, super hero movies and even some good looking horror movies. There are also a lot of sequels coming out like Frozen 2 or Avengers: Endgame. Before I go any further, this article is going to based completely off my own opinion. I’m not basing the movies mentioned off any criteria other than what I’m excited to watch. 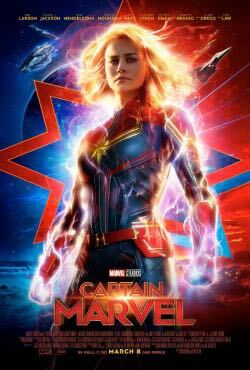 The movie takes place in the 1990s and introduces the world to Carol Danvers, the Air Force pilot who obtains superpowers. Jordan Peele is writting this movie as a follow-up to his previous movie, Get Out. 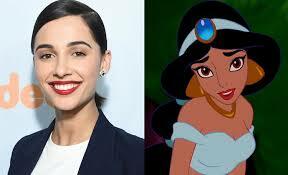 This movie is going to be a live action version of Disney’s animated movie by the same name. The movie is going to be directed by Tim Burton, so you know it will be good. The DC movie is about a teen who receives the power to transform into an adult with the powers like strength, flight, and many others. Another Stephen King story brought to life. This movie is based off the legend of La Llorona. I don’t think this movie will be done very well, but I’m excited to see what they do with the aspects of the legend. The movie is going to continue on with the story told in Avengers: Infinity War. This movie will also kill off some main characters. It looks like the story line for the movie isnt great, but Ryan Reynolds is always funny so I’m going to see it. Another live action Disney remake. I’m excited though. The story will take place when the children from the first movie are adults. Again, another live action Disney remake. The actor for Aladdin, Mena Massoud, looks like a good fit to play the Arabian character but, in my opinion, the actor playing Jasmine doesn’t. Another remake of the Chucky movie. The doll always scared me so I guess the movie serves its purpose. Apparently they are going to continue to make these without Andy. I never watched the old Grudge movie so I’m excited to watch this version of the Japanese remake. These kinds of movies always look boring but turn out to be good at the end. This movie is about the American car company Ford’s efforts to build a race worthy car to beat the Ferrari team at the 1966, 24 Hours of Le Mans race. The story is based off of true events. Turns out Spiderman isn’t one the characters who die in Avengers: Endgame. This is going to be animated. Even though 2019 is apparently the year of the remakes and sequels, a couple of movies I don’t think needed to be done again were Hellboy, The Angry Birds Movie 2 and 47 Meters Down: Uncaged. The original Hellboy movie was great, the generation that liked the Angry Birds are too old to want to watch the new movie, and the first 47 Meters Down was not a good movie; I don’t think the second one will be any better. Every month Netflix comes out with new shows and movies, and it can get hard to keep track of what’s new. This month, Netflix is releasing many new shows and movies. 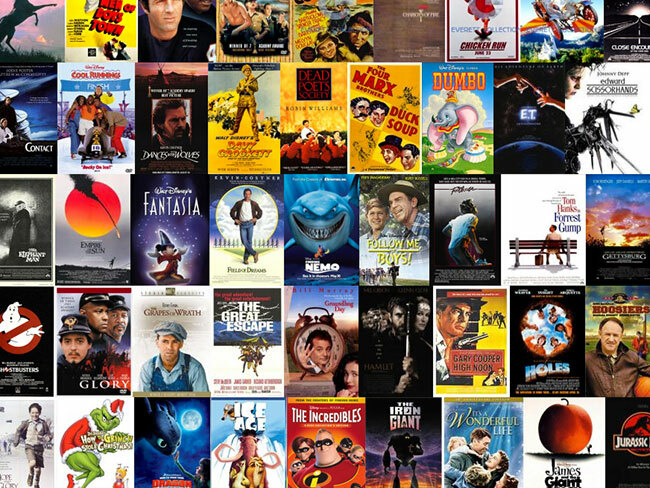 Here are a few of the shows and movies to be added. High Flying Bird is a movie about a sports agent who pitches a business opportunity to a young basketball player during a lockout. You may recognize Caleb McLaughlin in this movie, who stars in Netflix’s Stranger Things. This movie comes out on February 8th. Dear Ex is a movie about a woman’s ex-husband who dies. When he dies it is revealed that he cut their son out of his will, and put someone named Jay in instead. This movie comes out on February 1st. Hairspray is a movie about a teen in 1960’s Baltimore who wants to be in the city’s dance TV show. She then becomes an overnight sensation. This movie comes out on February 1st. Netflix is also adding the classic thrillers Jaws, Jaws 2, Jaws 3, and Jaws: The Revenge. If you don’t already know what Jaws is about, it is about a killer shark who attacks the tourists on Amity island and the police chief’s quest to capture the great beast. These movies come out on February 1st. Pretty in Pink is about a teenager who doesn’t know where she belongs in high school. She then falls for a guy in a different social group, and she realizes it’s hard to be relationship when you run in different social circles. This movie comes out on February 1st. The Edge of Seventeen is about a high school junior named Nadine that struggles with the up and downs of being a teenager. Not to mention that her best friend is now dating her brother. With the help of a new friend she’s able to navigate life as a teenager. This movie comes out on February 1st. Beverly Hills Chihuahua is about a Chihuahua who gets lost in Mexico. Chloe the Chihuahua travels all over Mexico with the help of another dog Delgado to get back to her owner with adventures on the way. This movie comes out on February 3rd. One Day at a Time is about a Cuban-American family as the show follows their ups and downs of life. The show follows a single mom with two children and her mom. Season three comes out on February 8th. Workin’ Moms is a TV show about four working moms in their thirties who must navigate life in Toronto. They overcome many problems throughout the show. Workin’ Moms comes to Netflix on February 22nd. The Umbrella Academy is about 43 kids born with supernatural abilities. Based off of the comic book series, this movie follows six of the superheroes as they use their abilities to solve the mystery of a billionaire’s death. This movie comes out on February 15th. The Breaker Uppers is about two women who are very cynical. They decide to create an agency that helps couples break-up. This movie comes out on February 15th. Chef’s Table is a documentary series about unique restaurants all over the world. Volume 6 comes out on February 22nd. The nominees were announced on December 6, 2018 by Terry Crews, Danai Gurira, Leslie Mann, and Christian Slater. The ceremony marked the debut of a new non-competitive award rewarding excellence in television, the Carol Burnett Award, with Carol Burnett herself being the inaugural recipient, along with a brand new trophy design. Green Book won the most awards for the ceremony with three, including Best Motion Picture – Musical or Comedy. Bohemian Rhapsody and Roma won two awards each. In television, The Kominsky Method and The Assassination of Gianni Versace: American Crime Story were the most awarded, with two awards each. Jeff Bridges was honored with the Cecil B. DeMille Award for career achievement. Does T.V. rot your brain? Most people, if they have ever looked at a T.V. for too long, have been told that it would rot their brain. But does it really rot it? 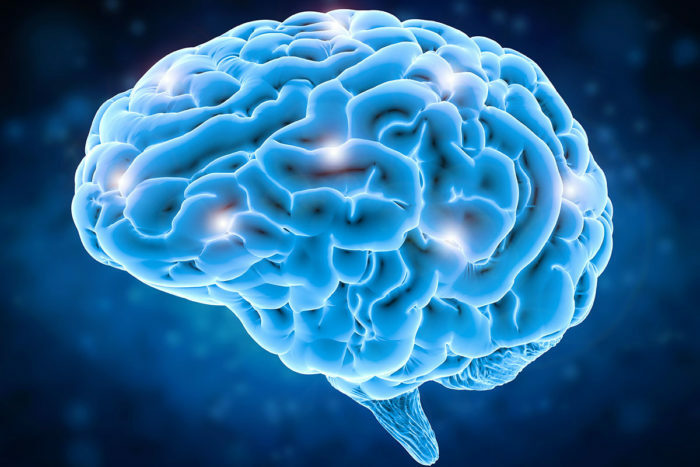 Well, it turns out your brain isn’t going to rot like a fruit, but there is evidence of it being harmful to your brain when you are young. So, there’s evidence that the problems found in the original research would have happened anyway because that’s in their genetics. The answer to the question of if T.V. rots your brain or not, seems to be that T.V. can have harmful effects on your brain if you watch it for too long at a young age, but also whatever might happen to you because of watching T.V. might happen to you anyway.